Tickets are still available for East Preston Football Club’s Sussex Senior Cup second-round clash with Brighton & Hove Albion’s under-23 team. The tie, which takes place at The Lashmar on Tuesday (7.30pm), will be all-ticket. Tickets will be on sale from the clubhouse today (Sunday), tomorrow (Monday) and from 5pm on the evening of the match. Supporters are advised to arrive early to allow enough time to enter the ground. Admission is £6 for adults and £3 for concessions, with no cash sales on the gate. 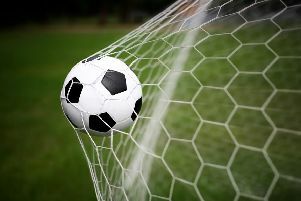 n East Preston's scheduled Southern Combination League Premier Division home clash with Newhaven was postponed owing to a waterlogged pitch on Saturday. An 11am pitch inspection had been passed, only for the match referee to call the match off just after 2pm.